The Secrets Of The Delidded Threadripper CPU Revealed! A few days ago, veteran German overclocker der8auer delidded* an AMD Ryzen Threadripper processor with AMD’s permission recently. 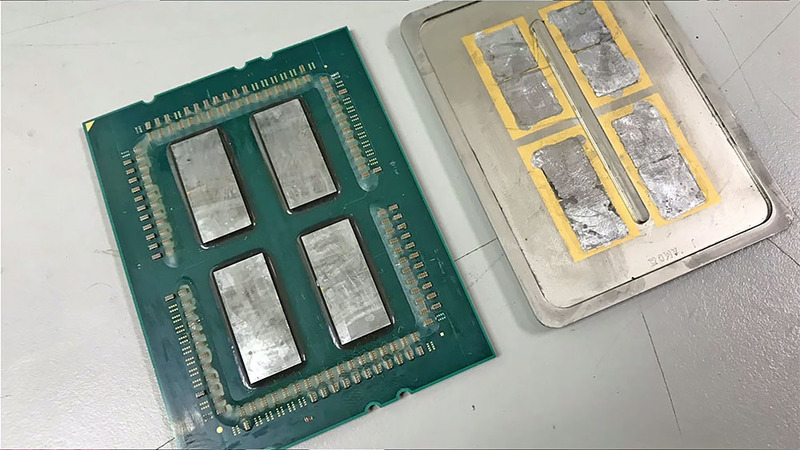 The video and pictures of the delidded Threadripper revealed many interesting facts about the upcoming 16-core desktop processor. He was soon asked to remove the video, but as they say – the Internet never forgets. In this article, we will summarise the secrets revealed by der8auer’s delidded Threadripper processor! 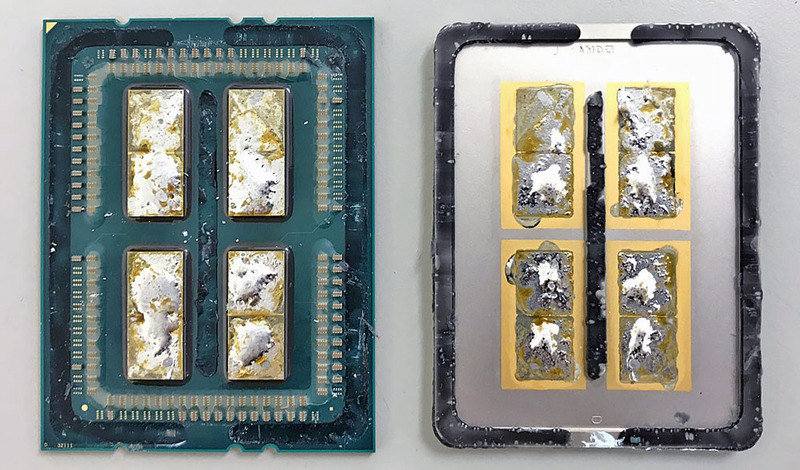 * Delidding a processor means removing its integrated heat spreader (IHS), to reveal the processor die(s) underneath. Don’t forget to catch our follow-up article – Confirmed : The Threadripper Is An EPYC CPU In Disguise! Although many of us assumed that Threadripper would use two AMD Ryzen (aka Zeppelin) dies, the der8aeur’s delidded Threadripper revealed four Ryzen dies underneath the heatsink! As you know, every Zeppelin die has eight AMD Zen processor cores inside. So technically, every AMD Ryzen Threadripper processor has 32 processor cores in them. AMD has confirmed that only two of the four Zeppelin dies in the Ryzen Threadripper is functional. The other two are permanently disabled. The presence of four Zeppelin dies means the Ryzen Threadripper is functionally the AMD EPYC server processor, with two of its dies disabled. Why would AMD use four processor dies when they only need two? Simple answer – easier and cheaper production. This is counter-intuitive, so let us explain. AMD makes a 32-core server processor that uses four Zeppelin cores. 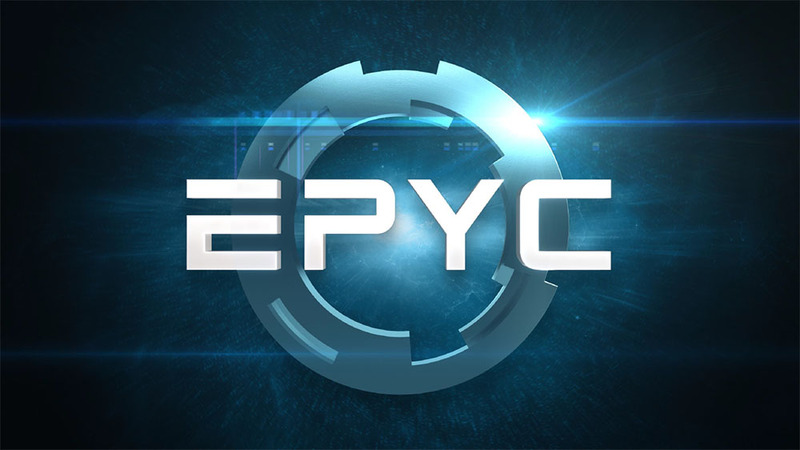 Formerly known as AMD Naples, we now know it as the AMD EPYC processor. Instead of creating a separate production line for Ryzen Threadripper, it is easier and cheaper for AMD to just pick out EPYC parts to use. 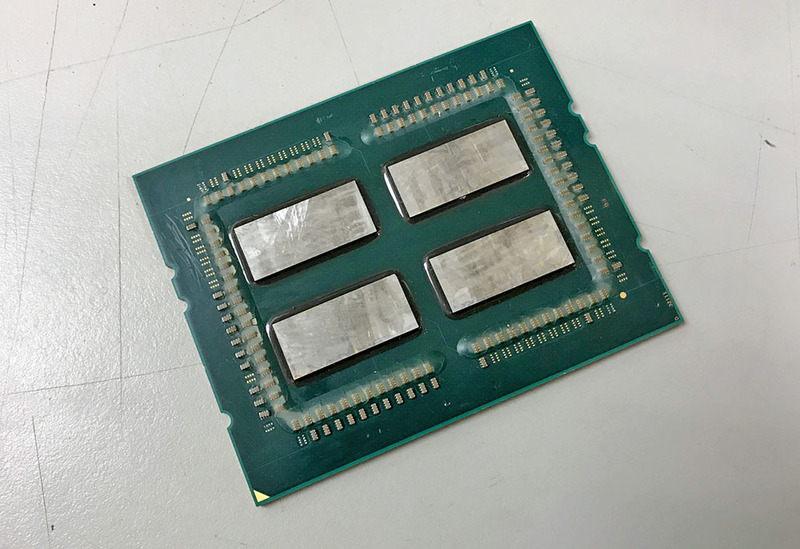 After all, the EPYC and Threadripper processors both use sockets that are physically the same – SP3 and SP3r2 (TR4), with the same number of pins – 4094. Combining their production gives them greater economies of scale. Both EPYC and Threadripper are not mass-market processors after all. It also allows them to salvage EPYC processors that don’t make the grade. This isn’t new or extraordinary – the semiconductor industry has been binning and salvaging chips for decades. AMD did not skimp on the TIM (Thermal Interface Material). In fact, they went for top-of-the-line solution – gold-plating the base of the heat spreader, and directly soldering the dies to it using an indium solder. This is as good as it gets, ladies and gentlemen. So please don’t waste your time and kill your Ryzen Threadripper processor by delidding it! The decision to produce the Ryzen Threadripper as a clipped version of the AMD EPYC processor means it would be very easy for AMD to release a 32-core Threadripper processor down the road. However, we think this is quite unlikely as the market for a 32-core desktop processor will be miniscule. Even the 16-core Ryzen Threadripper will sell only in small numbers – much, much smaller than the highly-popular Ryzen 7 processors. Confirmed : The Threadripper Is An EPYC CPU In Disguise! Introducing the First AMD X399 Threadripper Motherboards! Next : AMD Radeon RX Vega – Everything You Need To Know!